Within the next few years, around 90% of all newly manufactured cars will have built-in start-stop technology, which reduces fuel consumption and emissions by switching off idle engines. But supporting start-stop technology this is just one of the tasks of the battery. As cars are equipped with more and more power-consuming items – such as satnav, DVD screen and Smartphone interface, a robust energy supply has to be in place. 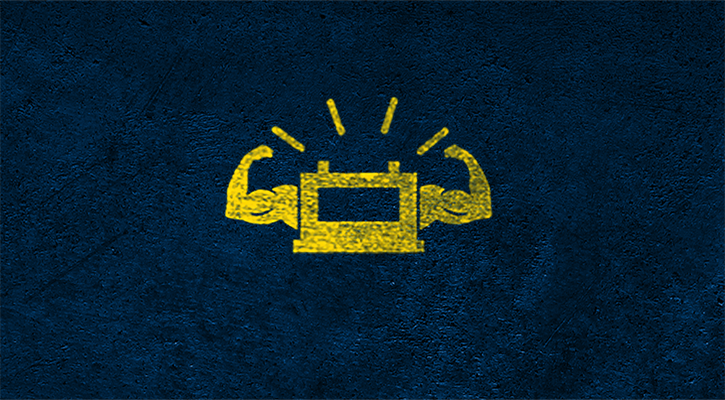 And that´s a task conventional SLI batteries are simply not able to fulfill. When we started the AGM battery serial production in 2002, we didn't just want to meet the demands of car manufacturers. 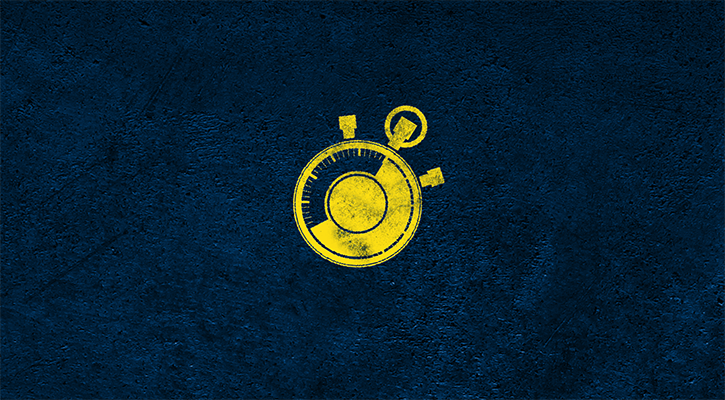 We wanted a battery so powerful that it would become the benchmark in the start-stop segment. The result: our VARTA® Silver Dynamic AGM. 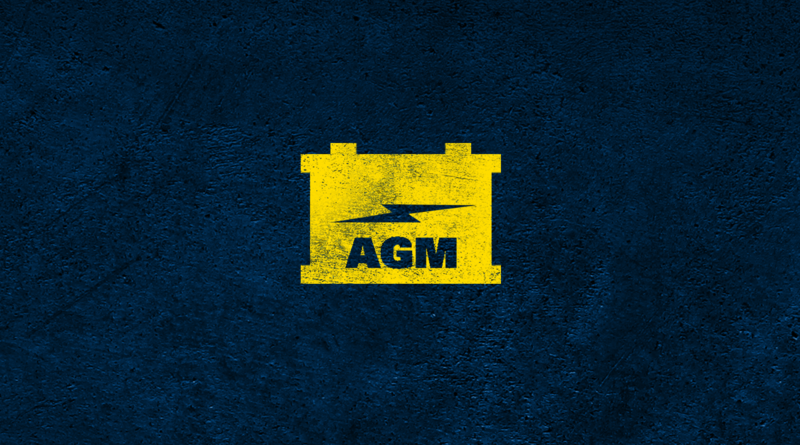 To guarantee the best quality, we have put in place more than 100 process and product parameters and variables which are being inspected and monitored during the production of the AGM batteries. This has made us the No. 1 battery supplier for the automotive industry. 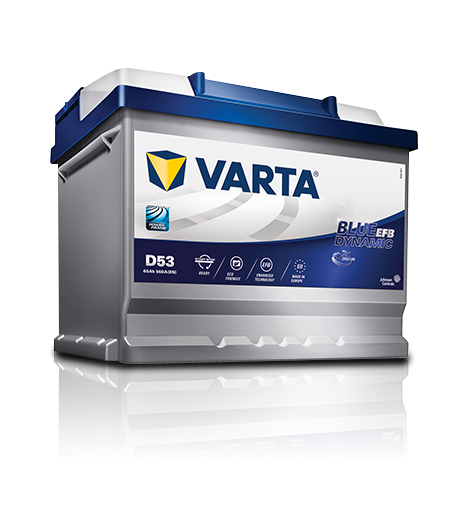 For cars with superior power needs, and for entry-level start-stop systems we recommend our VARTA® Blue Dynamic EFB. 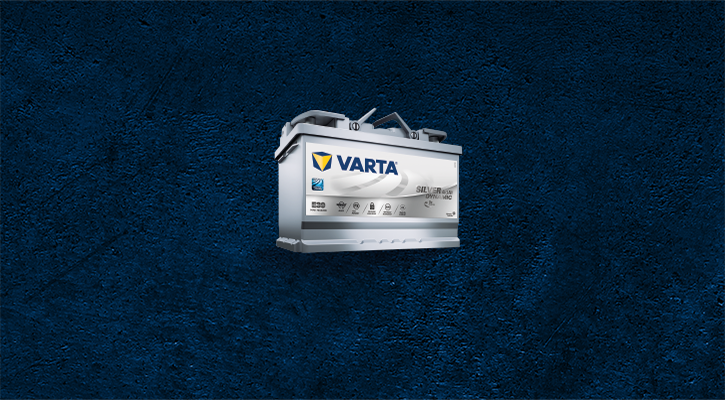 VARTA® Blue Dynamic EFB — the start-stop entry-level product for superior performance needs. The battery market is changing rapidly. 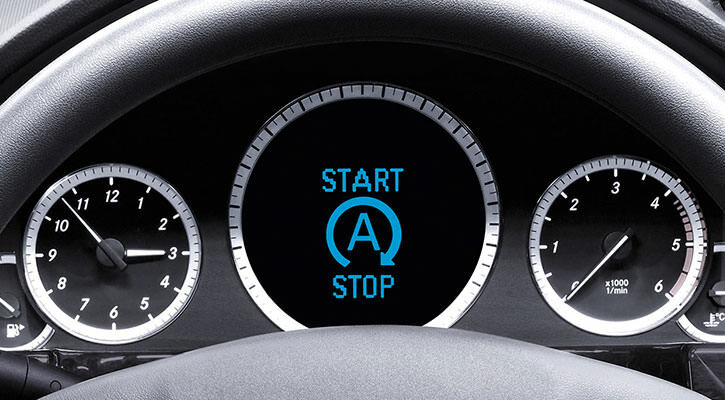 By the time you read this, almost 90% of all newly manufactured cars have built-in start-stop-technology. 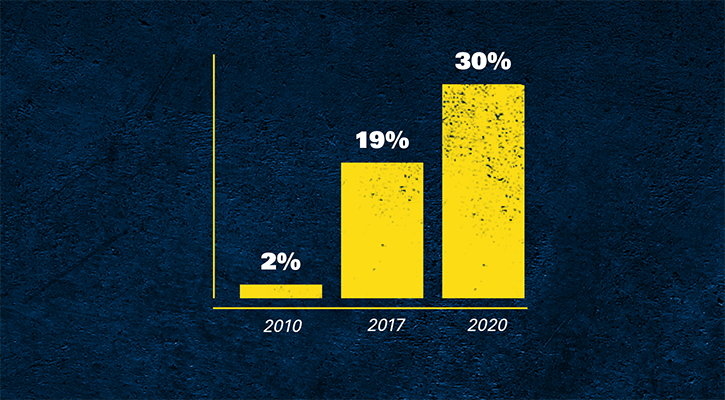 And by 2020 more than 30% of all cars will be equipped with start-stop systems. Beside the constantly progressing technology, cars are equipped with more and more power-consuming items – such as satnav, DVD screen and Smartphone interface. So with both car technology and the market changing rapidly, workshops need to adapt to modern technology. 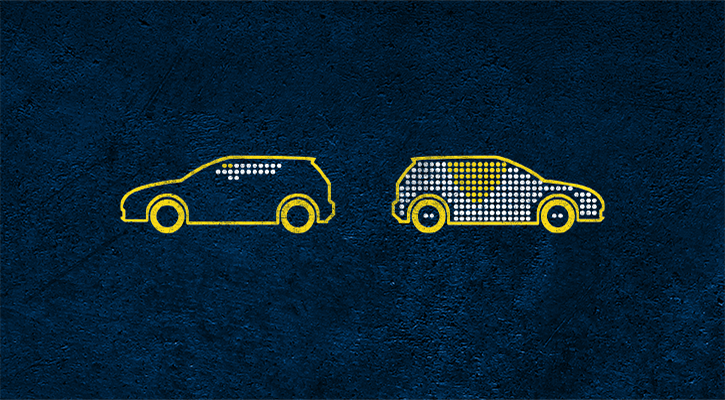 The introduction of the start-stop system has driven a major change in battery technology. The traditional lead-acid “starter” battery is not suitable for this type of application. As a result, the absorbent glass mat (AGM) battery was developed. It´s not without reason that 8 out of 10 newly manufactured AGM cars in Europe are fitted with a VARTA Silver Dynamic AGM. Learn more. When we started our AGM serial production in 2002, we wanted to do more than meet the car manufacturers´ demands. So, we developed a powerful battery that became the benchmark in the start-stop segment. Learn more. 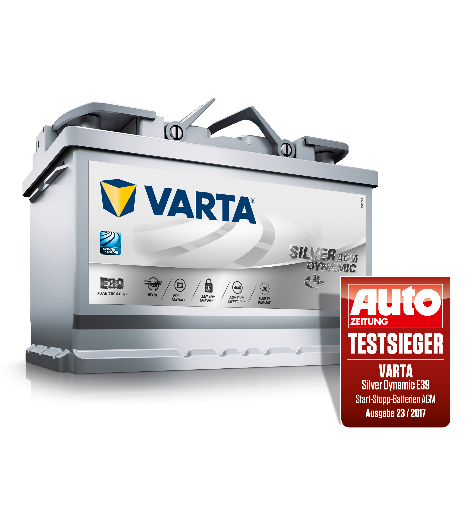 We consider the VARTA Silver Dynamic AGM battery as the mandatory replacement for any vehicle with an AGM battery. Learn more. AGM stands for Absorbent Glass Mat – a technology that is found in VARTA Silver Dynamic AGM batteries. AGM technology is designed to handle the toughest electrical loads required in new cars with premium features. 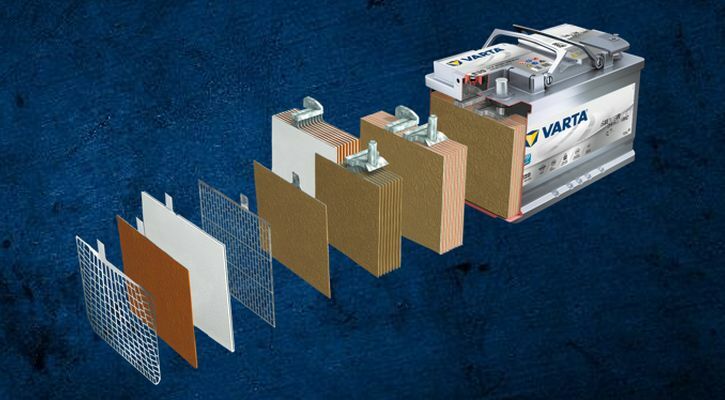 We would like to present our VARTA PowerFrame® grid technology. It ensures a stronger and longer-lasting grid design with up to 66% more durability and more corrosion-resistance than other grid designs.